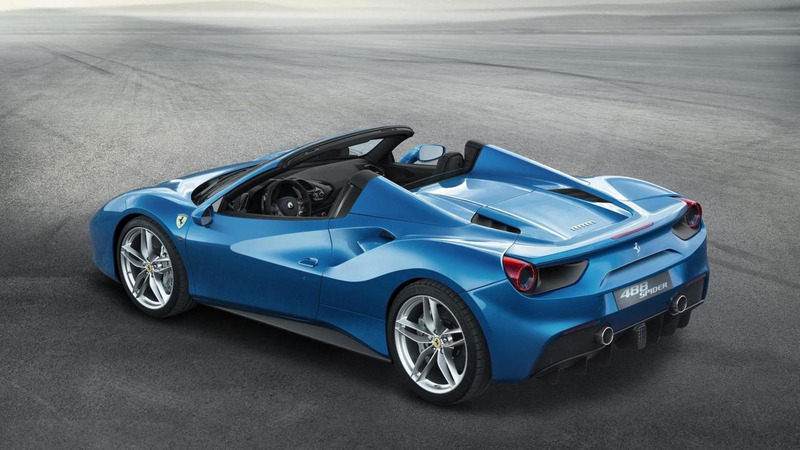 Based on the 488 Spider, but prettier and with more prancing horsepower. Ferrari Japan is in a festive mood nowadays as it’s blowing the 50th candle on its anniversary cake, but that’s only half of the story. 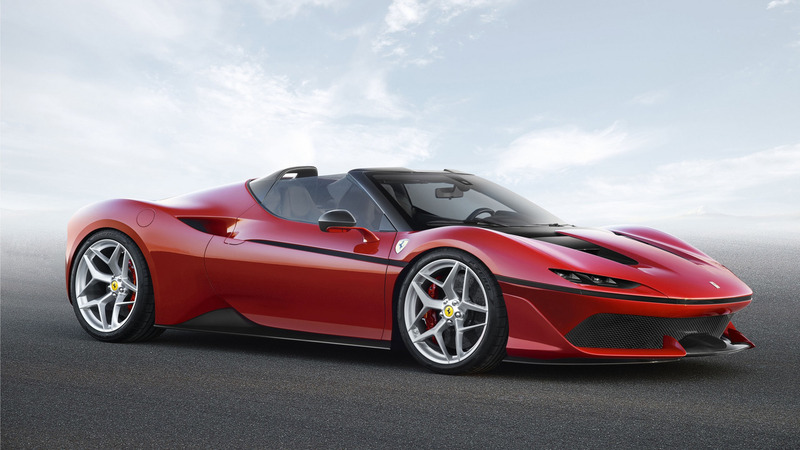 To celebrate the important milestone, Ferrari took a 488 Spider and turned it into the “J50,” the latest special model of which only 10 units are ever going to be made. As you would imagine, each and every one is going to be tailored to the exact specifications given by the owner. This one was presented in Tokyo wearing a lovely three-layer red exterior combined with an equally nice red-over-black cabin dipped in Alcantara and leather. 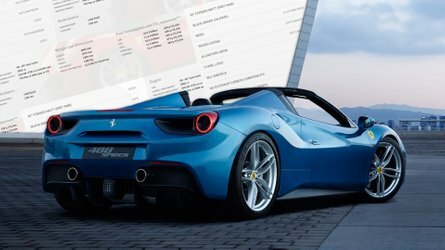 Work started on the outside where the Maranello-based Ferrari Styling Centre team fiddled with the 488 Spider’s body to give it a “highly distinctive personality that suits the tastes of a clientele that seeks the utmost in innovative styling.” The main idea behind the changes was to lend the droptop supercar the appearance of a low-slung barchetta, which is why the J50 has received a more aggressive and sleeker front end with slimmer full-LED headlights and a set of beefy side wings for the redesigned bumper. The hood has been lowered and is now flanked by a pair of raised wheel arches to make the fascia seem more muscular. 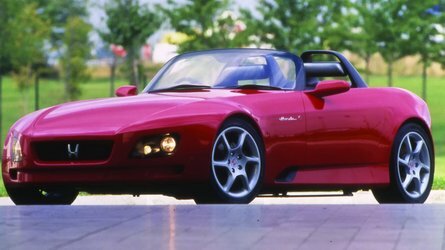 In addition, the hood has received a pair of carbon fiber air ducts while the windscreen appears to have a wraparound configuration. 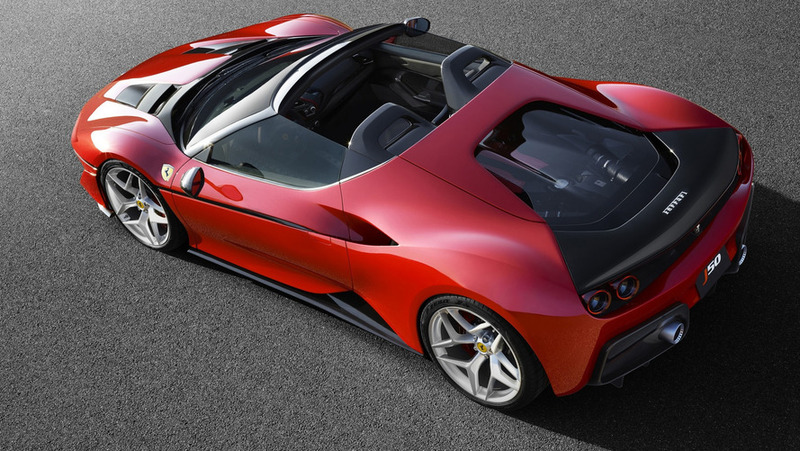 Gone is the folding metal roof as instead Ferrari has installed a two-piece carbon fiber targa top, which when not in use is stored behind the seats. Another feature that separates it from the regular 488 Spider is the black dividing line reminiscent of iconic models such as the GTO, F40, and F50. The rear end has also been subjected to a few changes, with the most important one being the adoption of double taillights as a nod to previous models. 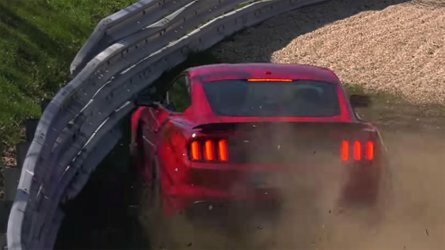 A new rear diffuser has also been implemented and it hosts a pair of very cool exhaust tips that take inspiration from jet engine afterburners. A fresh set of tailor-made 20-inch forged wheels has also been created, along with a transparent polycarbonate engine cover. 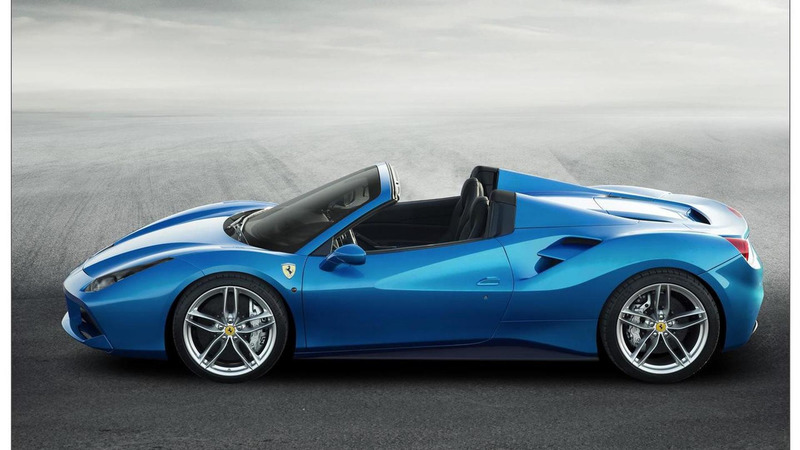 Speaking of which, the biturbo 3.9-liter V8 no longer churns 670 horsepower as it does in the regular 488 Spider as Ferrari’s engineers have managed to extract an additional 20 hp for a grand total of 690 hp. 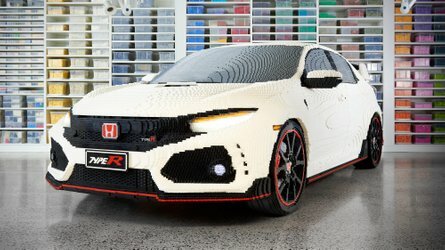 There’s no word just yet about torque, although the upgraded eight-cylinder engine likely generates a tad more than the 760 Newton-meters (560 pound-feet) offered by the donor car. 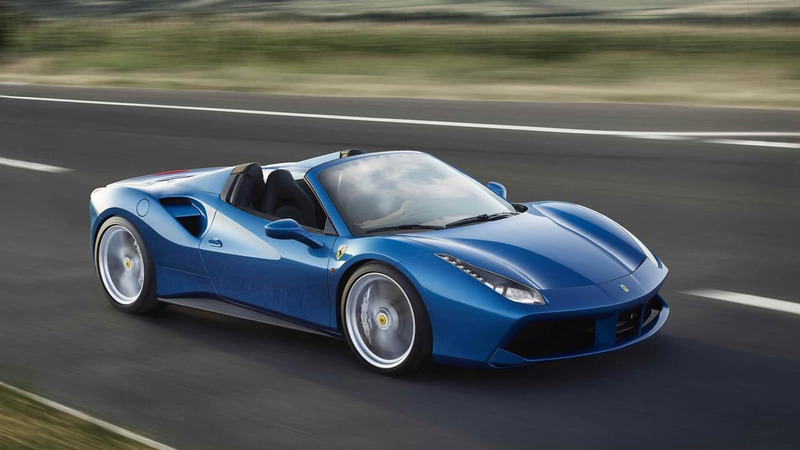 Ferrari has not published any details about the car’s performance, but it should be in the same ball park as the 488 Spider’s capabilities, a model that hits 62 mph (100 kph) in three seconds and maxes out at 203+ mph (325 kph+). 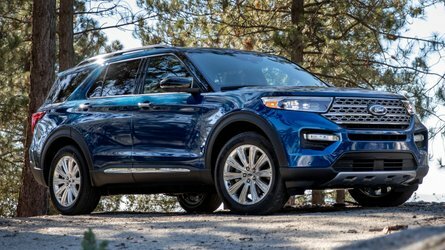 If you are a big fan of the exterior, we have some good news. 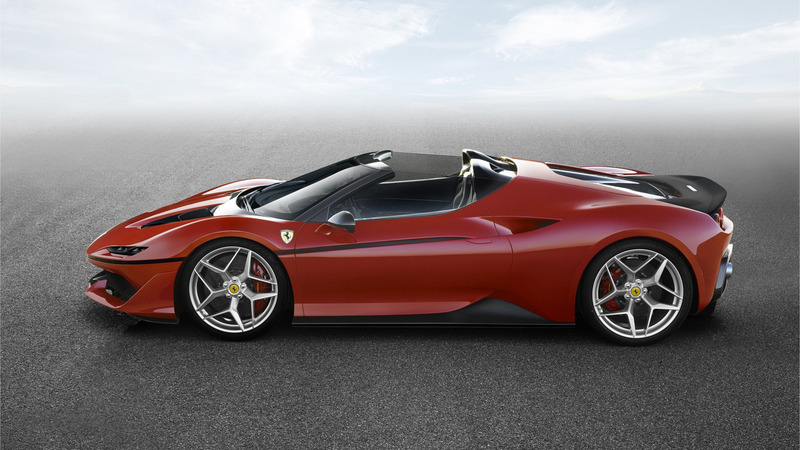 Ferrari mentions the J50's body "heralds a radically futuristic design language," so this bespoke 488 Spider-based special edition is a sign of things to come from Maranello's talented design team.